Time travel & alternate universes, robot Josef Stalins, and triceratopses — all the silly staples of any good Fantastic Four story. 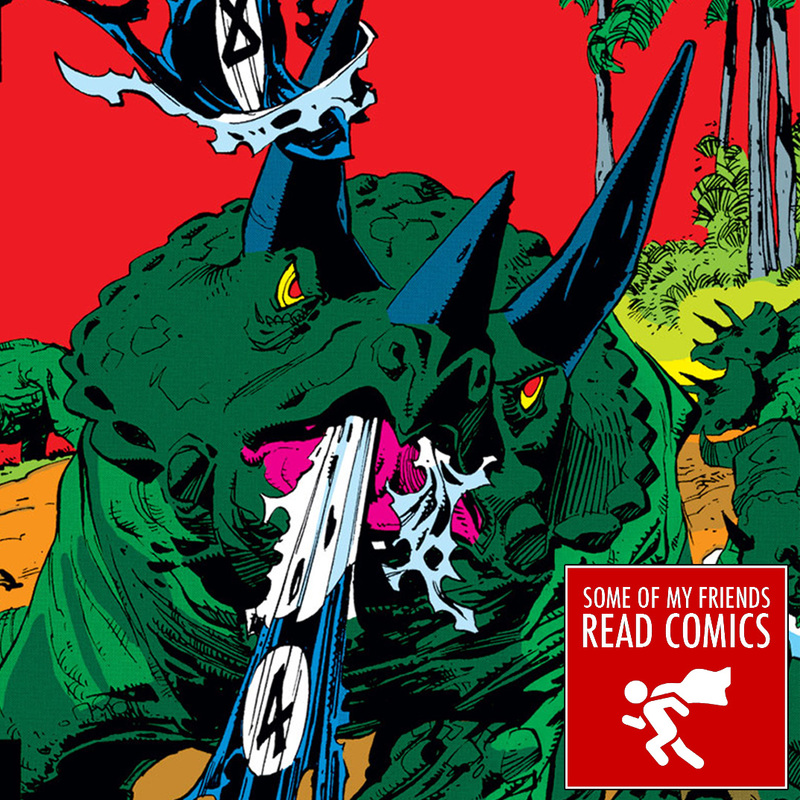 On today’s SOMFRC, the gang reads Fantastic Four #343-346 – written and drawn by the great Walt Simonson (Thor, Detective Comics). But is this story as fantastic as our eponymous foursome?? Find out on SOME OF MY FRIENDS READ COMICS!! The Fantastic Four have a movie coming out this week. By their very name, they are the most fantastic four. 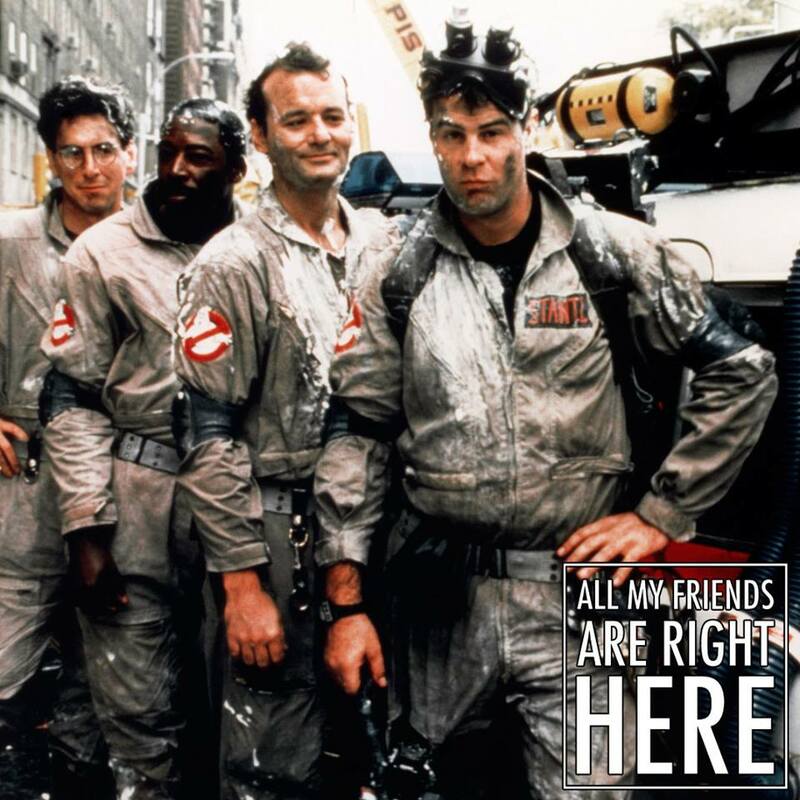 But what about the Ghostbusters? The Ninja Turtles? Are the Fantastic Four deserving of their name? Are there foursomes more fantastic than the Fantastic Four? Find out on today’s ALL MY FRIENDS ARE RIGHT HERE!! Subscribe through your favorite podcast tracker or download directly here! This week’s contest is to find somebody who knows Karen Allen’s people and hook her up with our good friend Alex Crawford for a photoshoot. Alex can be reached at alex@alexcrawfordphotography.com. Karen, you can see his work at alexcrawfordphotography.com.